Blog is a community. By referencing each other, the network of hobbies or information is exchanged in a way that is not possible in traditional website. I am always amazed by how other blogs referenced my site. Here are some interesting references. Wow, did you know that Bill Gates was murdered by the media in China? 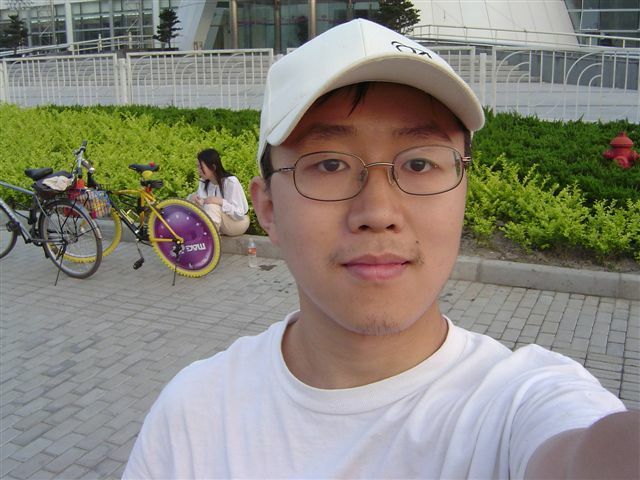 Turned out to be a hoax, but it had Microsoft employee Jian Shuo Wang worried. I’d like to meet Jian someday. 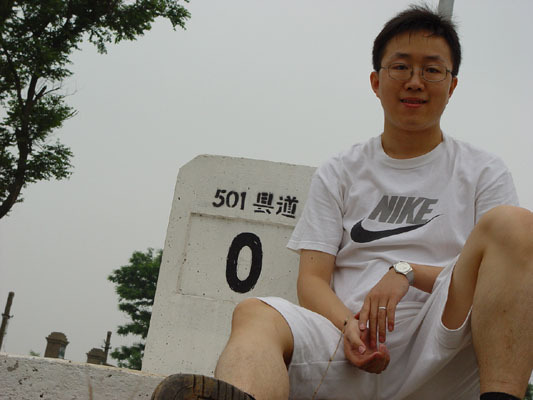 His weblogs about life in Shanghai are great. Well. I am very hornorred to be mentioned in his wonderful blog. I wanted to write you and tell you how much I enjoy the information you have provided on your web site. I hope you keep it going for a very long time. I am sure you have received a lot of email from overseas and helped a lot of visitors to Shanghai. Shanghai Tourism should hire you as minister of tourism. You are well qualified for this position. You can travel to the world and promote Shanghai. This is the detailed plan following up my previous draft plan to Kanas, Xinjiang. Day 0: From Shanghai to Urumqi by air. Staying at Urumqi. Day 1: From Urumqi to Burqin by mountain car. Arrive at night after 6-8 hours via G216. Day 2: Drive from Burqin into the mountain and begin trekking. Stay at the interaction of the two rivers. Day 3: Continue to march to Hemu and stay in the village that night. Day 4: From Hemu to Heihu (Black lake) and seattle down near the lake. Day 5: Last walking day and reach Kanas Lake at night. Day 6: Start from Kanas and return to Burqin. Day 7: Come back to Urumqi via the west route and pass the Ghost City. I am sorry that my trip to Xinjiang was canceled. I am learning to drive a car from today. To get a driver’s license is not easy – it is both complicated and expensive. I try to get a driver’s license in two months. It is type C which is good for the cars under 3 ton. The infrastructure of Shanghai is improving at amazing speed. 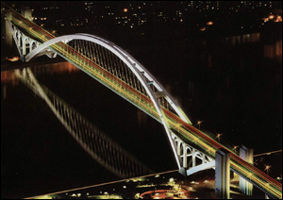 After the new outer ring tunnel opened in Shanghai last weekend, the 6th bridge on Huangpu river opens today. Meanwhile, five tunnels are ready (from the north are outer ring tunnel, Yanan Rd tunnel, Tourism tunnel, Metro Line #2 tunnel, Dapuqiao tunnel). Two more (Dalian Road Tunnel and Fuxing Road tunnel) are under construction. 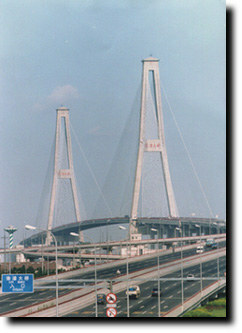 By the year 2005, 20 tunnels will connects the Pudong area and the Puxi area. With increasing number of the new express way, I suggent found the new names for the express ways. Here are a list I found on the Internet. I believe I am one of the most frustrated persons in the world now. The server goes down frequently. That is the reason you cannot visit the server in the last few days. Sorry for the inconvinience this brought to you. Life, an accumulation of mileage – I loved the sentence when I first saw it on the airplane of China Eastern Airlines. I love to travel. Actually, I seldom see people who do not like travel. What I mean is, I am very keen to map and compass. With the simple tool, I can get around. 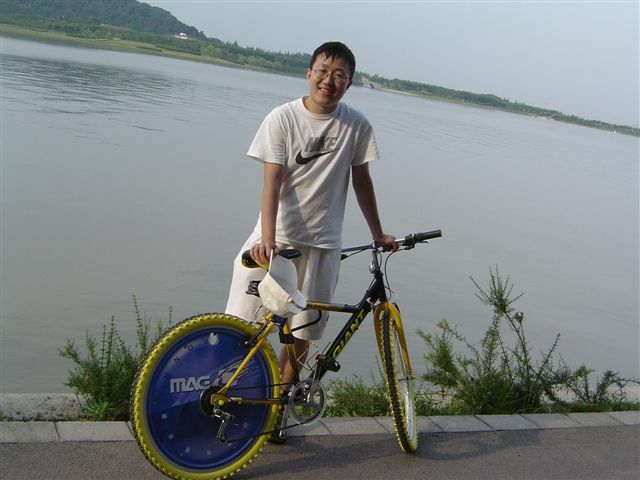 Last serveral days, I cycled to Tai Hu (Lake Tai) and covered 147.72 km. If I setup a frequent bicycle club, I can accumulate this mileage and give me a big prize. MarriottRewards Membership ID: 982 789 265. Their service center in Singapore is very helpful. Another repository of membership ID is at here. As I forecasted before, I completed my trip to Taihu by bike today, covering 147 km in distance. Here is the actual route. I started at 7:30 AM of Saturday from 77 Caobao Road – near the Metro Caobao Road station. Then I headed to Qibao 七宝. Within two hours, I arrived at Sheshan 佘山. At noon, I passed the Oriental Green Boat 东方绿洲 and Zhujiajiao 朱家角 and arrived at #8815, Huqingping Road and had lunch there – free lunch. 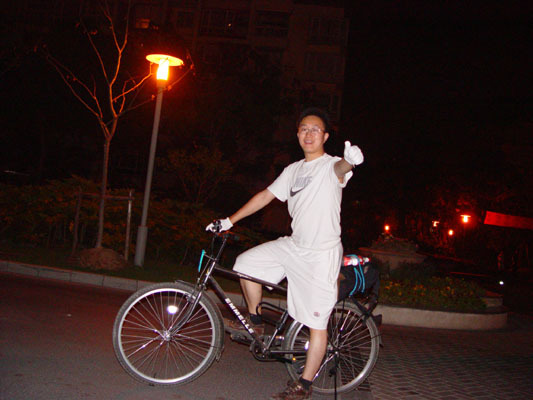 In the afternoon, I cycled on the best road for cycling – from Daguanyuan – Shangta – Zhouzhuang – Tongli (大观园-商榻-周庄-同里). At 1700, I arrived in Zhouzhuang and took pictures below. After having dinner there, I continued my journey to Zhouzhuang – it is about 10 km between and I finally get Tongli at around 1915. The sun just set. The night at Tongli is amazing – my personal advice for anyone who want to visit a historic town like Tongli, Zhouzhuang or Luzhi 甪直 have to go there at night. The village looks so nice with all doors (the doors for shops) closed and all visitors just left the town – I didn’t see anyone in the town during my stay. The next day, I started late at 0800 and arrived in another historic town Mudu 木渎 at noon. Having lunch there, I completed the last 3 km from Mudu to Xukou 胥口. It was so hot at the time I arrived – 34 degrees C or even higher since 1400 is the hottest time for the day and there is no tree alone the road. After that, it seems no possible for me to get back home within that day and I have to get back since I have already booked my flight to Beijing early next morning. So I ride back for a while and took the bus from Suzhou to Shanghai. As luck would have it, there is a car model called “North” from Neoplane. 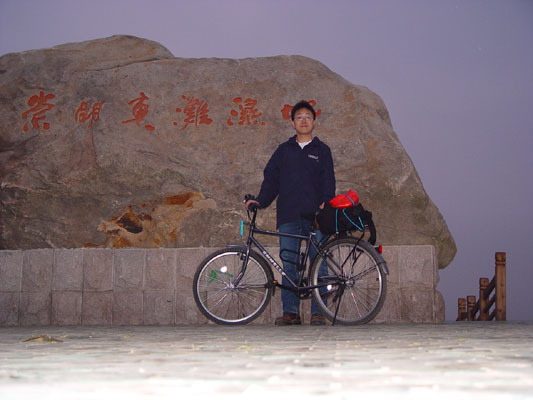 It is large enough to accomendate my bike and I left Suzhou on bus from 1820 and arrived at around 2000. Below: My bike and I on the bridge in Zhouzhuang 周庄. 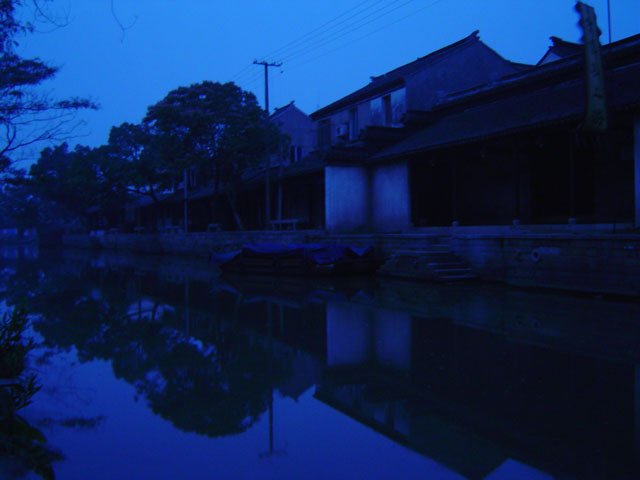 Below: Early morning (3:40 AM) in Tongli. Below: Finally reached the destination – Taihu. Below: It is the hottest day of this year. It was 34 degrees C. When this picture is taken, it is 2:00 PM, the hottest time of the day. 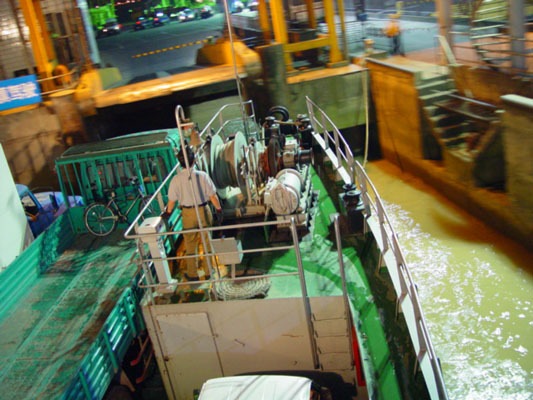 Below: Boats waiting on Taihu to enter the river. How can I go to Nanjing from Shanghai Pudong Airport? I hope this page will help you if you are among the many to seek for the result. 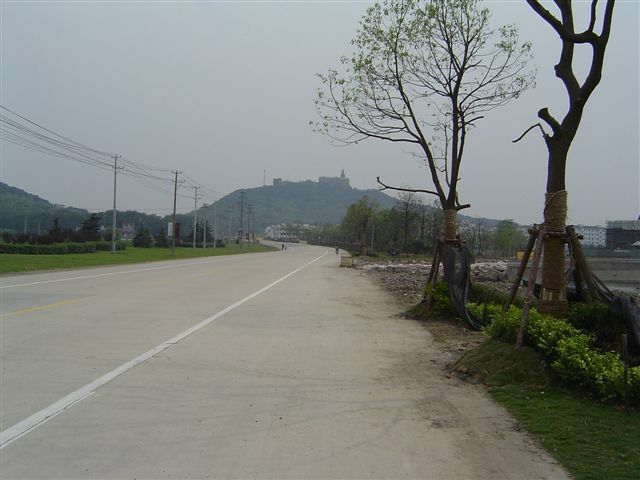 Before I offer the route, I suggest you to take a look at my hard work – the map of East China. Thanks for NASA‘s Visiable Earth project, I created the map below using the satellite image of the eastern China cities AND the Pudong Airport. On the map, the dark spots are cities. The right most largest brown sport is your Shanghai. From Shanghai and moving westward, you will pass Suzhou, Wuxi, Changzhou and at last, arrive in Nanjing. This map will give you clear concept about how far Shanghai and Najing is and the relative locations for the two cities. Pudong Airport is far from the downtown Shanghai. I marked it with a red dot on the map. Yes. There are still 40 km from PVG (Shanghai Pudong Airport) to downtown Shanghai. How many options do I have to go to Nanjing? As I said, there is no direct bus to Nanjing, but there are at Hong Qiao Airport. Well, we meet the new name – Hong Qiao Airport. Where is it? 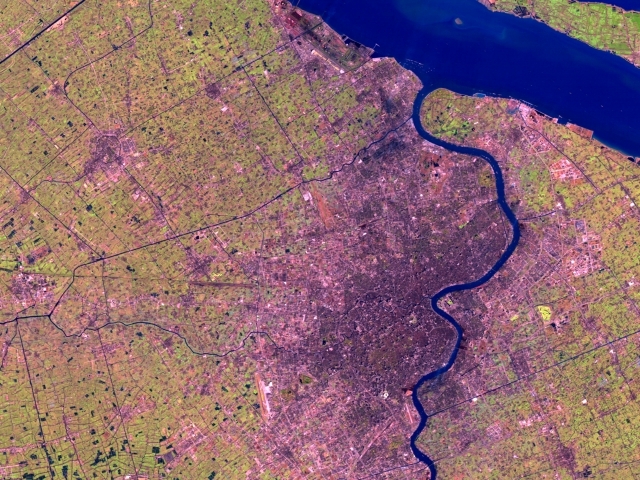 Again, I mark it on another satellite image of Shanghai since I trust what the land really looks like more than maps. It is a pitty that the image scope is small and I cannot mark Pudong Airport directly on the map. Fortunately, you can get some idea by referencing the two satellite maps with each other. There are 50 km between the two airport. You can take the Airport Bus Route #1 to get there. I have a special page for the buses. It is clean and comfort. See picture below. Bus interval is 15 minutes. 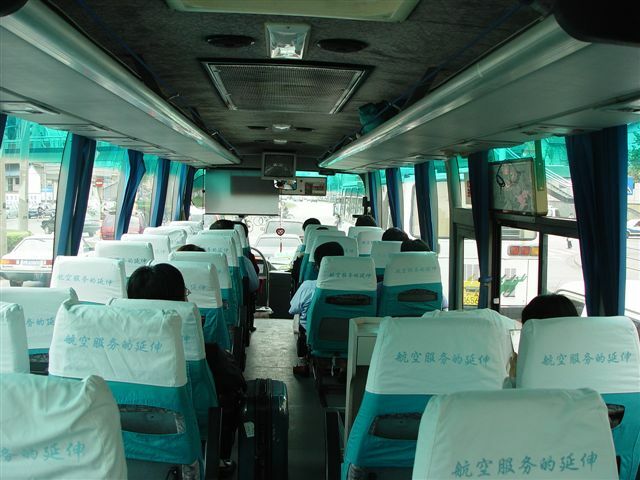 After you arrive in Hongqiao Airport, you can take the bus to Nanjing at the same bus stop of Airport Bus Route No.1. Buy train tickets there. There are many trains to Nanjing eveyday – with average interval of less than one hour. I suggest you to take T712 (SH14:10->NJ17:20). See my previous experience. If you do want a comfortable trip, AND you don’t care too much about money, hire a taxi and ask the driver to take you directly to Nanjing. Most drivers will be more than happy to do that if it is not too late. Let me check the average price and be back with you. This is part of the series article on Pudong Airport to help visitors to the airport. After SARS, the traffic in Pudong airport dramatically increased, so does page views of my Pudong Airport website and query emails I got. If anyone interested in volunteering to gather more information or help to answer emails, please send email to me. Please be advised that I reserve the right to publish your email with your name if you don’t instruct me not to do it in the mail. I appreciate your website a lot. It provides lots of info. for visitors to Shanghai. Although I am not a first time visitor to Shanghai, I have not been there for a while and don’t keep up with the changes. Could you help me with the following question? I will arrive in Shanghai PVG at about 5:50pm. It may be about 7pm by the time I claim my luggage and check out the customs. I wonder if there is still ‘route 1’ bus (via Hongqiao Airport) available to Nanjing by then? When is the last bus from Hongqiao Airport to Nanjing? How long does it take? If I decide to take a taxi, how much should I expect to pay? According to Pu Dong Airport Bus Services (+86-21-68346612) via Pudong Airport Service Hotline +86-21-68341000, via Yellow Page Service +86-21-114), the scheduled last bus leaving Pudong Airport is 11:00 PM and the interval is about 30 minutes at night. They provide serivce that as long as there are still flights operating at the airport (due to delay), the airport bus will be available. It stops until that passengers from the last flight arrive. I just got the latest information that buses from Shanghai Pudong Airport to Nanjing started operation recently. You can find the bus at Gate 19 of the Arrival Level. There are 6 schedule every day. The bus from Shanghai to Nanjing at Hong Qiao Airport will stop operation after 7:00 PM. So it is impossible for you to catch it considering the 1 hour transportation from PVG (Pudong Airport) to SHA (Hong Qiao Airport). If you take taxi, it is about 1300 RMB (150 USD). You can call a taxi at PVG. I am sure the taxi will be extremely happy to send you there since this will be a very big business for him/her. However, some one may ask you to pay the money back from Nanjing to Shanghai (almost the same money) since they need to come back with an empty car. You may need to negotiate on this. I know you can also send an email to services@okiedokey.com and they will arrange reliable taxi drivers for you and negotiate the best price for you. Here is the updated information of the bus to nearby cities. If there is any conflict between this table to other time table, this one should be more accurate since I recorded the time table from the poster of the ticket office at Pudong Airport for my visitors. GL asked: Is there any car rental service in Shanghai Pudong Airport? Yes. 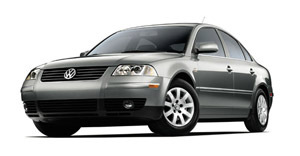 You can rent a car at Shanghai Pudong Airport easily. Your familiar car renting company AVIS has came to Shanghai. 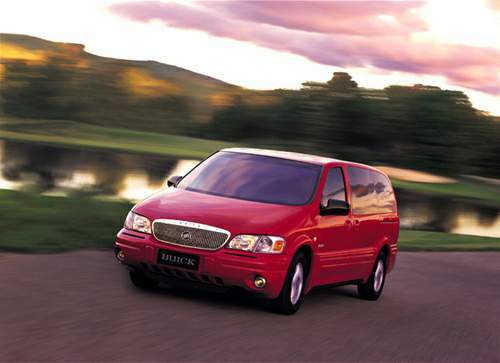 You can call their reservation phone number 86-21-6229-1119 to contact AVIS. Tip: If you are in U.S., diall 011-86-21-68346668 to reach the office. Shanghai is located at GMT +8 zone. Disclaimer: The information provided is for your reference only. There is no garrentee for the accuracy of the information. This personal site is not affiliation of the sites mentioned. Image source: VisableEarth.com. Used with Permission. 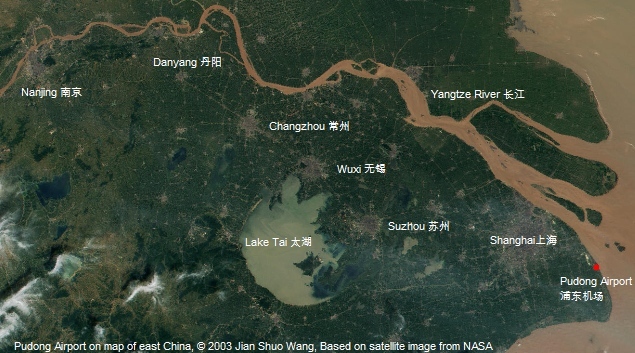 Look at the big lake on the satelite map – it is my next travel destination – Haihu (or Lake Tai). I am going to cycle there from Shanghai this weekend. There are even larger image of Shanghai. Really amazing! It is fantastic night. I walked along the Huaihai Road and the Maoming Road in Shanghai. The Jazz music came out of the pubs and the crowded people in the bars were dancing and singing. It is exactly what Shanghai looks like in summer! In the metro train and on the street, I never see anybody wearing masks now. People are happy and relaxed. It is an enjoyable night. The only exception is the servers at some fast food restaurants like KFC…. Maybe masks will remain required for the dining industry for a long time no matter there is SARS or not. 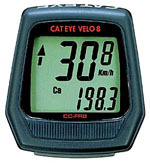 As I am fan of cycling now, I bought a new Cateye Velo 8 cyclometer at price of 120 RMB ($14). I will install it on my GIANT right now. I didn’t update SARS situation in Shanghai in the last week. So my readers like Tracey began to worry about the SARS sitautation. :-) Well. Let me tell you the current Shanghai in my eyes – it completely returned to normal and SARS is over. Indicator 1: Ban to events lifted. According to new policy of Shanghai government, starting from June 15, 2003, the ban to large scale events and activities is lifted. Organizations are free to oraganize events and activities freely. Last Saturday, in order to warm up the hard-hit tourism market, main scenic spots in Shanghai offered free entrances or 50% off in ticket price. On Saturday, 220,000 made their way to 33 local venues that were either open to public free of charge or selling tickets for discounts of up to 50 percent, according to the Shanghai Tourism Administrative Commission. It is not easy to find a seat at most restaurants in busy hours again. I went to Pudong Airport last week and found the airport was busy – even crowded at around 6:00 PM. It is said that the flight UA857 from San Fransisco to Shanghai was fully packed with people. Although the real situation in Shanghai still needs some time to spread out and reach those who are really interested in coming to Shanghai, Shanghai actually recovered from the SARS fear and is free of the disease. Regarding the mislead of information, my previous articles may also helped to mislead people since some readers just read the article I posted one or two months ago and think it is the CURRENT situation. After cycling to Chongming (186km) and Pudong Airport (30km), Wendy and I cycled to Sheshan together today. 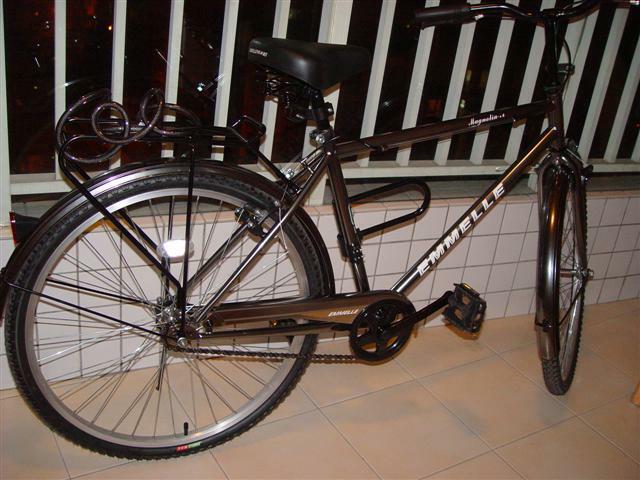 Wendy bought a new bicycle so we have two now. Hers is very cool with good color and 5 speeds. After four hours – God. How can it be possible for us to use as long as four hours to arrive in Sheshan? I made the mistake to take the route of G318 since I didn’t bring a map with us. This may cost us additional 16 km – almost double the distance. When we returned, we only used 2 hours. 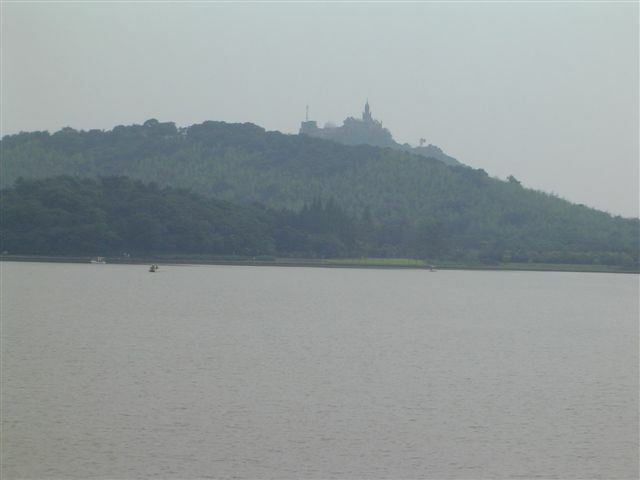 There is a nice lake before the Sheshan. It has a beautiful name too – Yue Hu or the Lake Moon. See the church on the top of the mountain? I saw bus No. 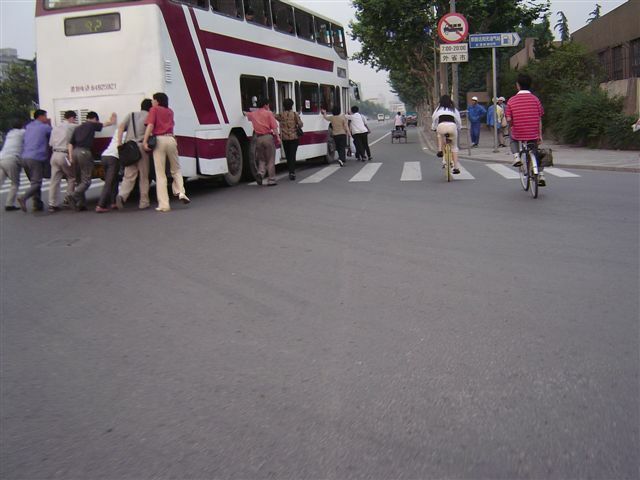 92 broken down and all passengers got off and push the bus to the side of the road at the Cao Bao Road, when I returned. It was really funny. Any one can tell me how to pronounce this word? Dr. Donald Dossey claimed that when you can pronounce the word your fear to Friday the 13th is cured. Paraskevidekatriaphodia means the fear for Friday, the thirteenth. Today is the special day. I just wonder why there are such a long word Paraskevidekatriaphobia? I did spend some time to memorize this word. I told my friends about this word and they are all very surprised. 275 items were returned by Google for this term at the time when this article is written. When I was young, I was passionate to memorize Pi. I was marching toward 200 digits but now, I can only clearly recite the first 80 digits of Pi. I become so passionate to travel by bicycle – it offers very good chance to experience the different life at the passing villages and see the wonderful views. All these are not possible for taking buses or cars. I rode to Pudong International Airport from Xujiahui today. It took me 4.5 hours from 12:30 to 17:00. It was not far – only 35 kms but the wind – east 11kph wind made it very hard to ride – I was directing to exactly the east side of the city. If you come to Shanghai, at least one thing will surprise you – the ignorance to traffice rules. I remember about one year ago, I read about this on Shanghai-Shanghai.net (now Shanghaiexpat.comarticle “There were no traffic rules, but only traffic suggestions”. Andrew said the same thing in his article. Yes. The ignorance of traffic rule is very popular. That is a big problem in the city since a modern city not only needs skyscrapers, it also needs the civilization in the people. I am very interested in this topic. Everyday, when I come to a cross road, I will stop and check the traffic light on the opposite site. If it is red, then stop and wait. If it is green, you can go. What a simple rule it is. Unfortunately, I always see the MAJORITY of people – yes, the majority of people will go straitly ahead even when there is a red light over there. It is shame for the city – a city without good traffic orders. The interesting thing is, the people who break the rule cannot get to the opposite side as quick as they wish. They need are forced to stop in the middle of the road when big vehicles and lines of cars rushing by – it is dangerous to be jammed in the middle of the heavy traffice road. I oftern find myself the only person to wait for the green light on the road from Xujiahui to Cao Bao road. New equipments were installed at some cross road one year ago. They are a big palm-size button on the pole of signal lights. You need to press the button for a green-light on the opposite of the street. Unfortunately, the equipments were ignored again along with the traffic rules. Seldom can I see anyone borthered to press the button. They just directly go across the road no-matter it is red light or green light. It is even worse some time the buttons do not work. I walked across the cross road of Nandan and Cao Xi North Rd at mid-night two days before. I pressed the button but nothing happened. All the four signal lights for walkers were red. I waited for serveral cycle of vehicle lights. At last, after waiting for about 15 minutes, I was so frustrated and go under the red lights to cross the road. I reported the buttons to the hotline of Oriential TV. Two days later, that is today, I got a phone call from a report from OTV Wide Watch Program asking to interviewing me and thanking me for my report. Under the insist of the reporter, I went out of the building and met with them. I described the experience before the camera for about 5 minutes. The report also asked me some questions like “What do you think the use of the buttons?”, “what do you expect the transportation administration to do to help the residents?”… Then I returned to work. The program should be broadcasted to 1.6 million people in Shanghai at the hottest time: 19:10 tomorrow or the day after tomorrow. OTV Wide Watch Program is the most popular news program in Shanghai broadcasting at the golden time when all family members just gather at the dining table. Today, there is no new reported SARS case country wide. The Shanghai city tour resumes today. The tour bus lines heading to surrounding areas start to operate after pausing for about one month. Starting from July 1, 2003, 41 international travel agents in Shanghai are allowed to host international tourist. That is a strong signal of the positive move of the SARS situation. It is announced that from today, Shanghai formally entered summer.It is defined that sequential high temperature above 22 degree C is treated as the begining of summer. Nice! SARS is over. After claiming the end of SARS two days ago, I feel even sure when all the information I gathered in the city these two days. According to Shanghai Transportation Adminstration, the regulation for all taxi drivers to wear masks was canceled. Starting from June 1, only attendants on air-conditioned buses, attendants in subways, and staff in long-distance bus stations are still required to wear masks. According to Shanghai Morning Post of today, shopping malls see 16% increase in revenue. Restaurants return to 70% of the normal level. We begin to see people line up at some hot restaurants. The Century Park received 20K visitoers every day last Saturday and Sunday. The Forest Park, Sheshan and other near places begin to surfer from the large traffic. People begin to line up for the buses, parks, tickets and dining. Some of them began to complain for that. It was nightmare in the last two months. The city has experienced the hardest time in the recent year. Although it is still not the right time to officially announce the end of SARS, the daily life is returning to its original status. I found a bicycle renting company. Phone: 63144085 Address: Room 309, #1088, Zhongshan Road South. 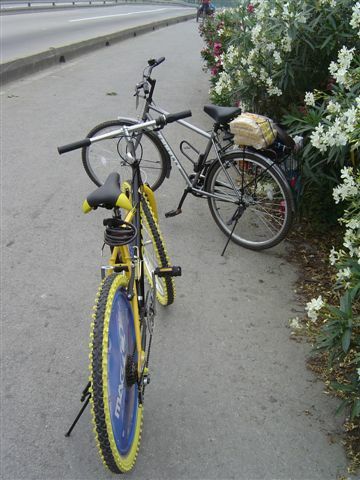 They offer new bicycle at 50 RMB per day, 60 RMB for two days and 90 RMB for three days.